Supplied in 5, 10, 25 and 1000 litre packs. Dosage: 15 to 25 % diluted in water. ECOCLEAN GT-ELC is a degreaser solution designed to be used in warm ultrasonic baths at temperatures between 50 and 70 ºC. 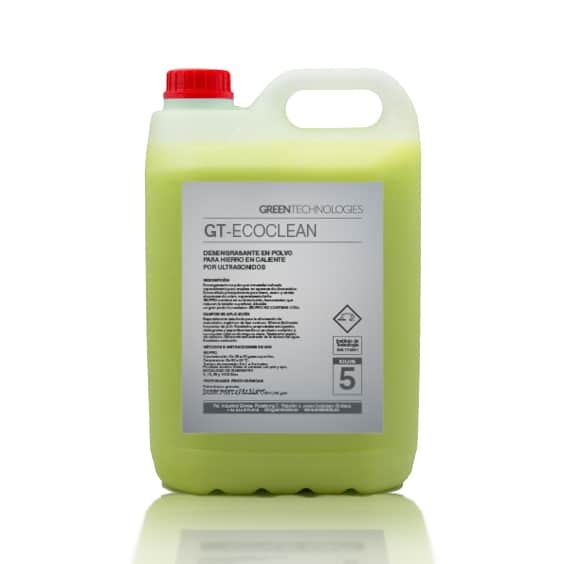 ECOCLEAN GT-ELC is a liquid, emulsifiable in water. The ECOCLEAN GT-ELC formulation also includes wetting agents that help reduce surface tension. ECOCLEAN GT-ELC is a degreaser solution designed to be used in warm ultrasonic baths in the electronic industry and industry in general. Dosage: 15 to 25% diluted in water. Temperature: between 50 and 70 ºC. Time: 30 to 120 minutes. 5, 10, 25 and 1000 litres.